How can you customize the reason why the email was sent in the footer? This email was sent to you because you placed an order at www.example.com. You can _unsubscribe_ from these emails. 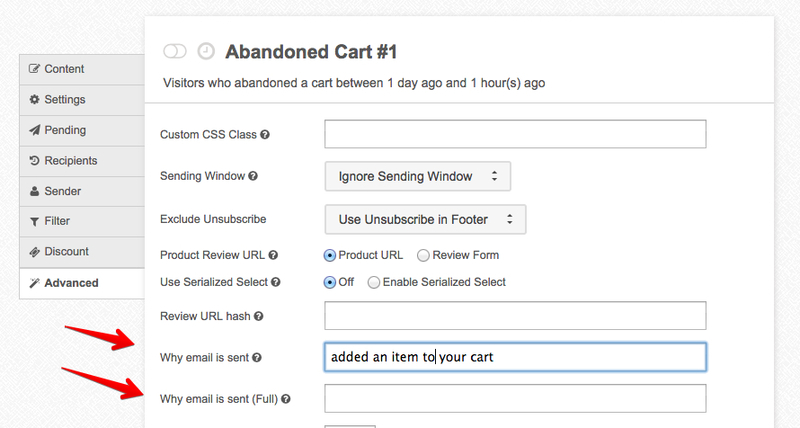 The simplest option is to modify the "placed an order" part of the sentence using the *Why email is sent* field. Another option if you need to replace the entire first sentence is to use the *Why email is sent (full)* field.